If you need any of your documents translated or marketing material translated so that it can be used by customers, clients or anyone whose natural language is not English, it makes sense that you use the best translation service you can get. In Australia, that means using an accredited NAATI translation service. There are several reasons why a NAATI translator is better than any other. The acronym NAATI stands for the National Accreditation Authority of Translators and Interpreters. Basically, it is the body that sets national standards for translators and interpreters. Most translation agencies in Australia that are worth using will in fact have translators that are NAATI accredited. NAATI is a limited company that is jointly owned by State, Territory and Commonwealth governments. It has a board of directors who are appointed by the owners. The authority’s main job is to provide a credentials service for translators and interpreters who intend providing translation services in Australia. NAATI was initiated to assist Australia’s cosmopolitan population as there are so many different languages present in the country. When it comes to migration or employment requirements those involved need to present translations of any documents not in English to the relevant government agency and potential employer. This has to be done by a NAATI translator so that they can be assured that the translation is accurate. NAATI translators not only offer translations for potential migrants but also for businesses conducting trade overseas where contracts and tenders need to be translated when supplying or purchasing a product. Any legal documents and technical documents can be successfully translated by an accredited NAATI translator in a variety of different languages whether it’s into English or another language. A NAATI translator doesn’t necessarily mean a cheap translator but it does mean an accurate translation. It is always important to choose the most suitable translator to perform a translation as a poor translator may make errors you are unaware of but the receiver of your document may see the flaws and judge you on those alone. 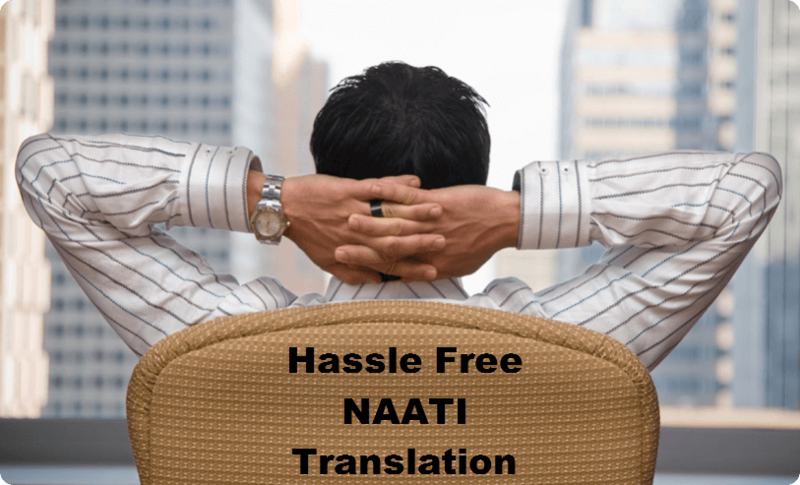 NAATI translators don’t get their approval for nothing and provide translations that will get the business you need from overseas by their ability to undertake accurate translations.